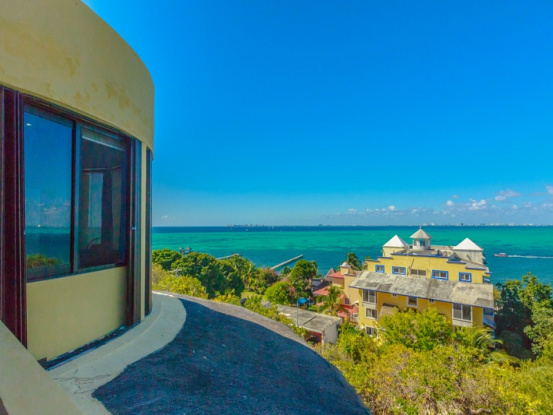 This stunning luxury bay side home was designed to maximize the amazing view. 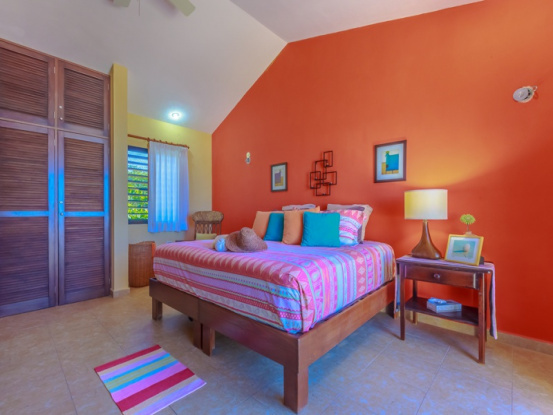 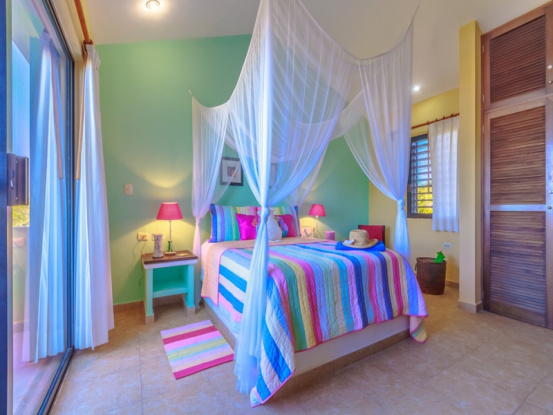 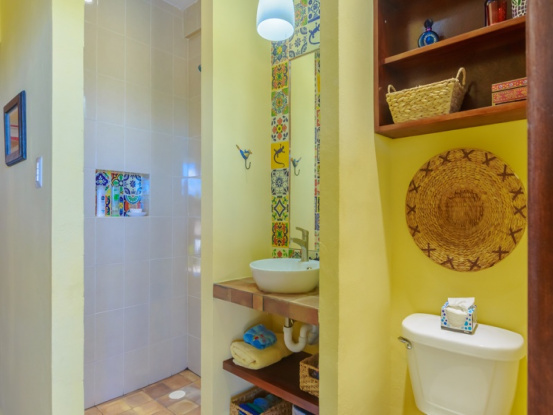 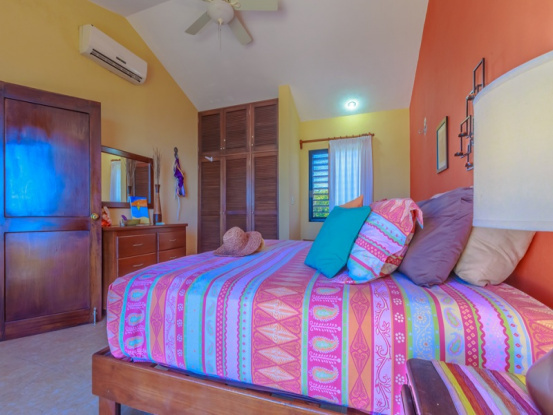 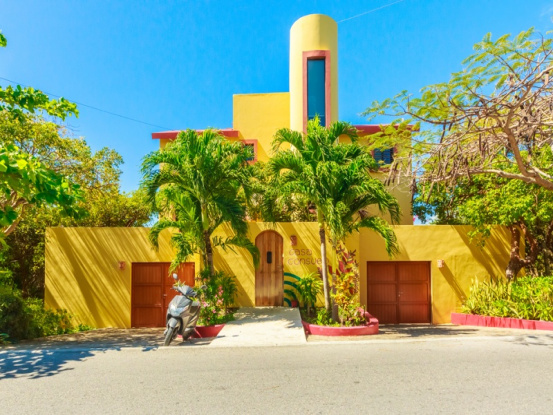 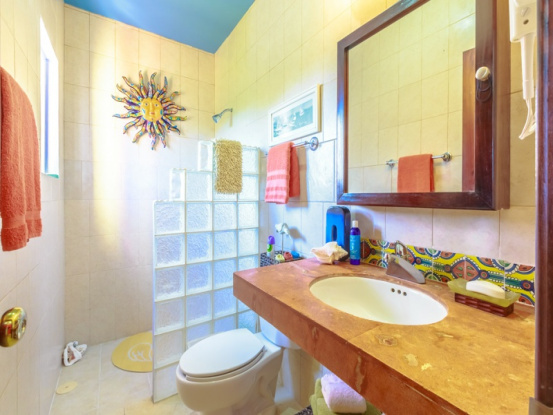 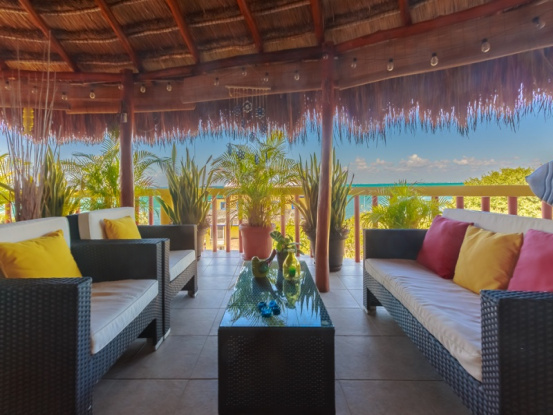 Walk in through a high privacy wall and the unassuming front door and find yourself in a tropical paradise. 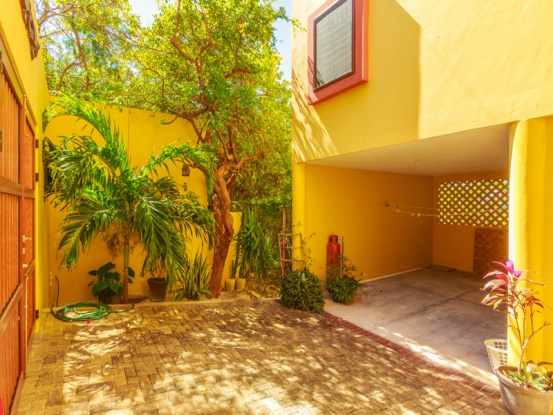 The lower level is flanked by two garages which are almost unheard of on the island. 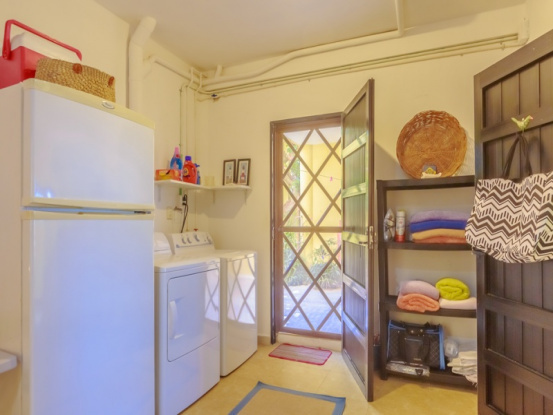 Each garage is full sized and will accommodate a large car or multiple golf carts. 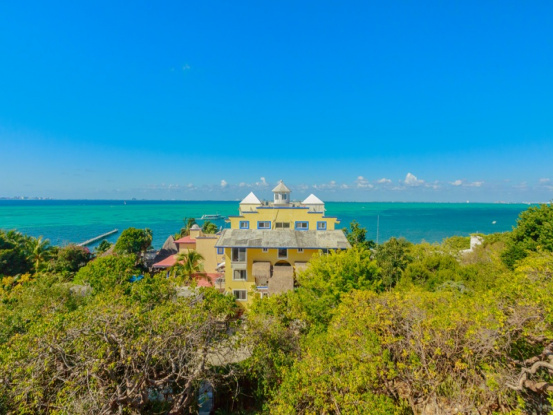 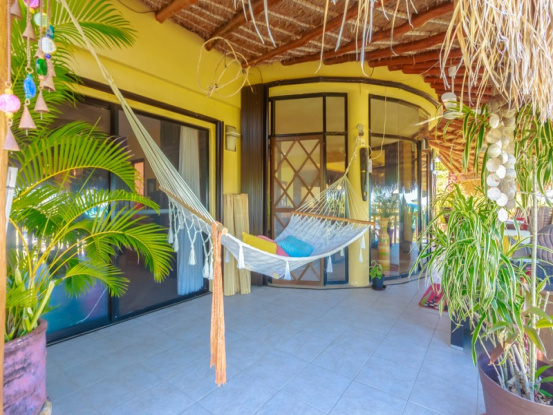 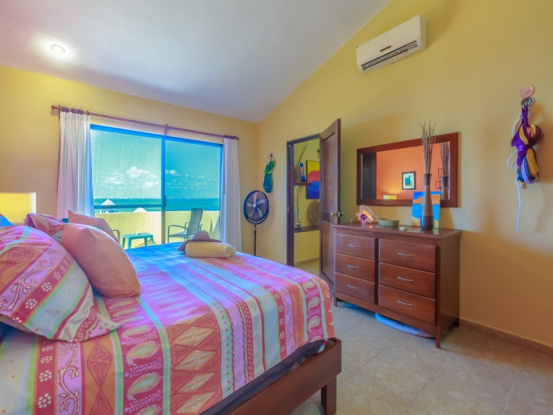 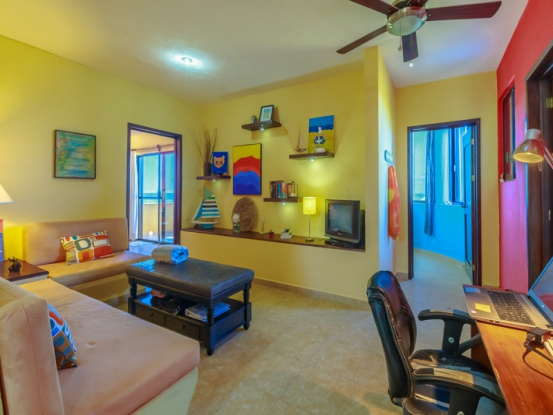 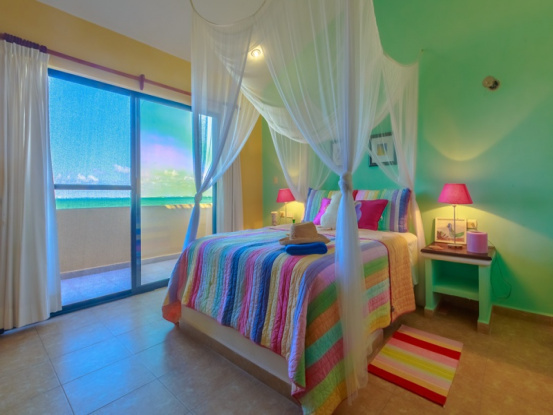 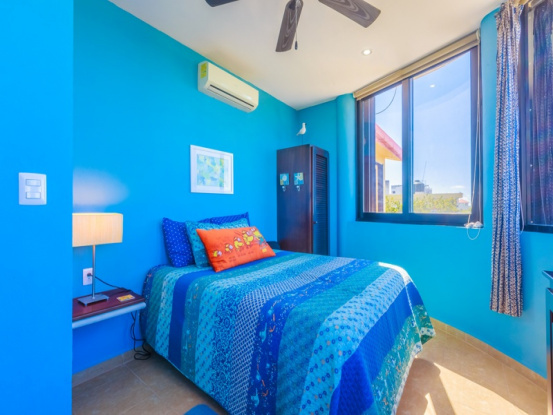 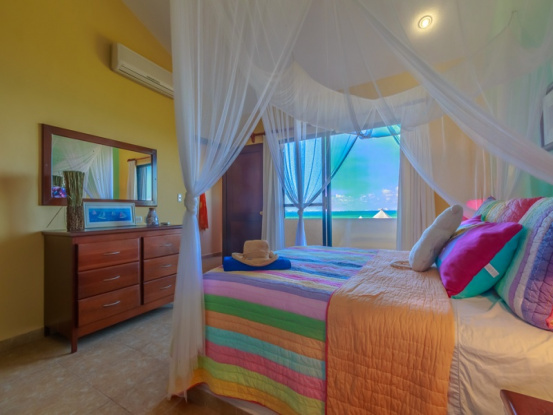 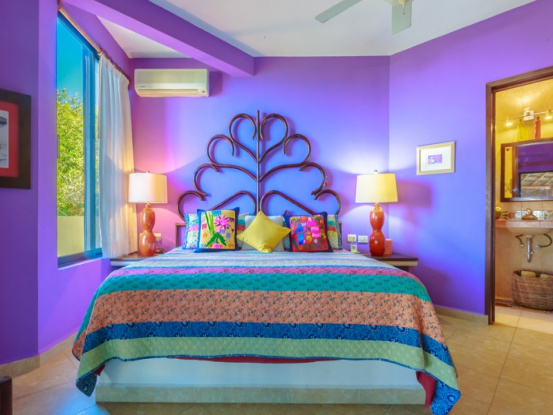 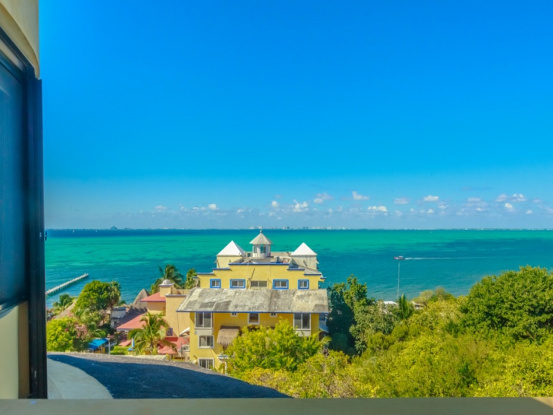 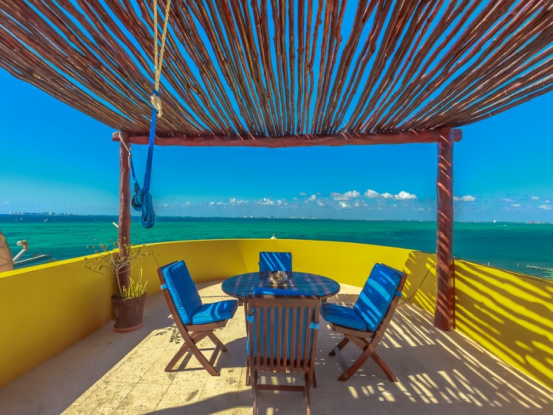 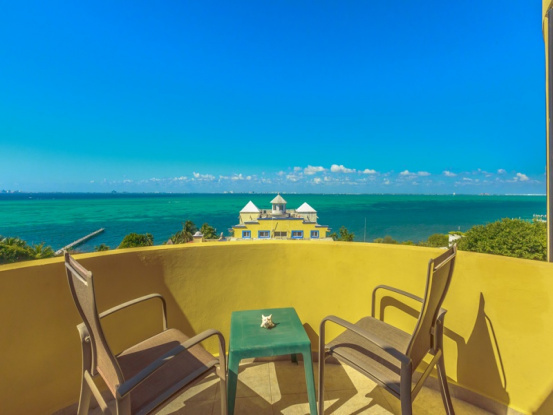 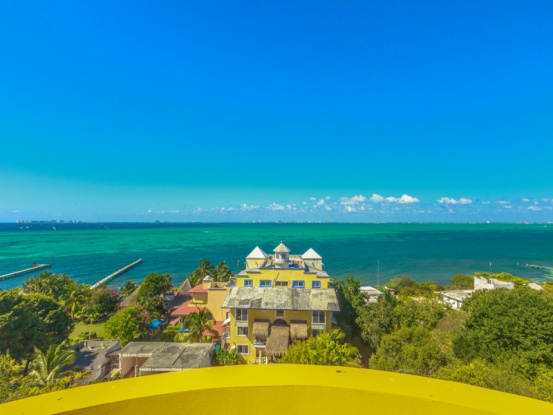 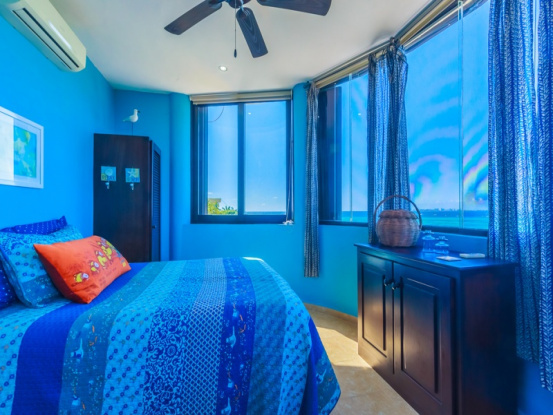 With three levels of living space and a roof terrace, the home features views of the Bay of Cancun from every room. 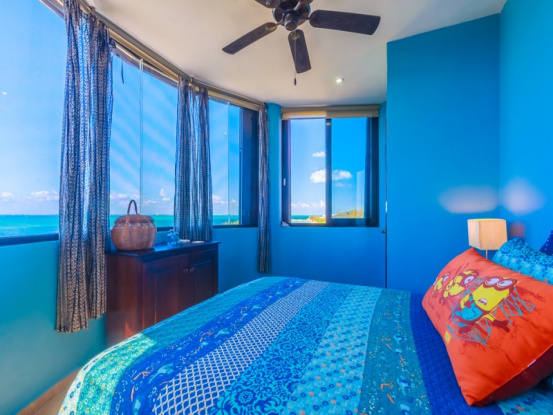 The bedrooms are spacious and uniquely designed with large windows. 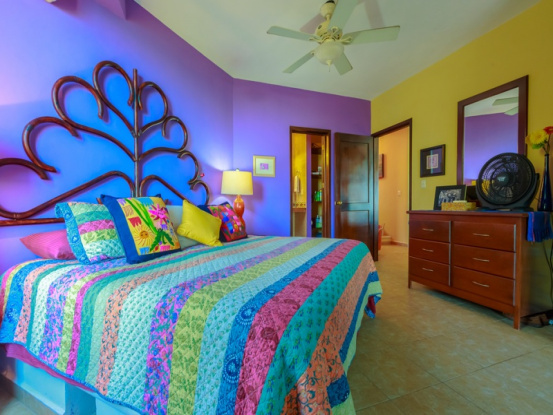 There are 4 bedrooms and 3.5 baths and one of the bedrooms includes the curved walls that are present in other parts of the home. 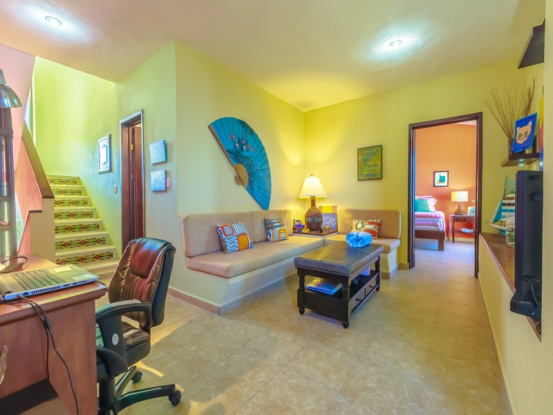 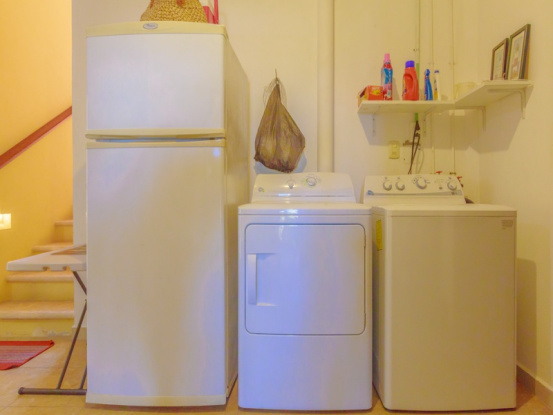 On one floor there are 3 bedrooms with a separate den or office. 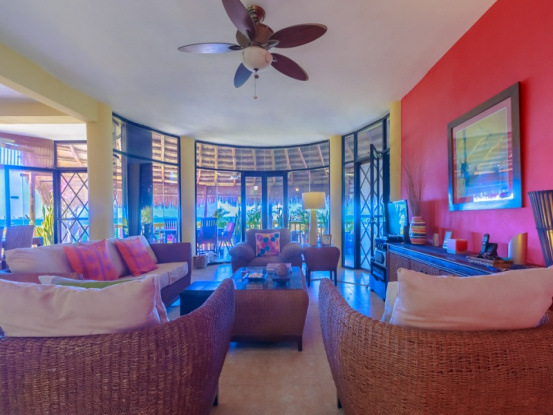 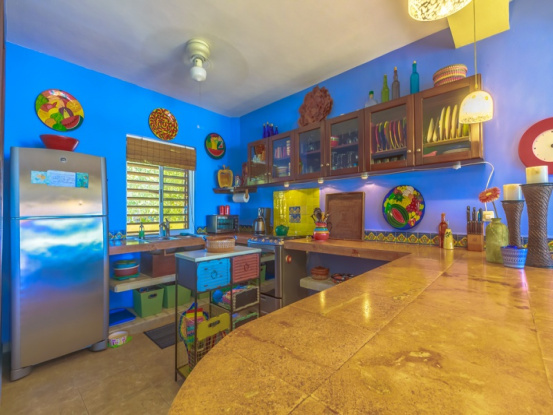 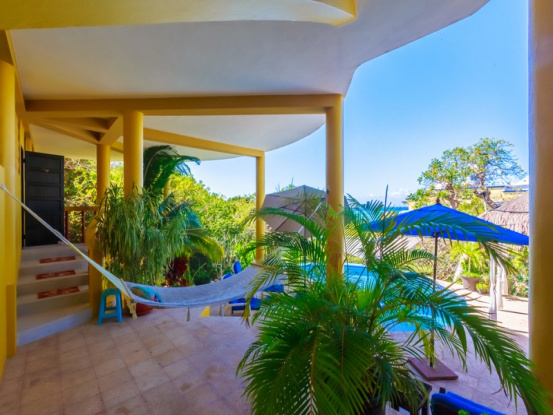 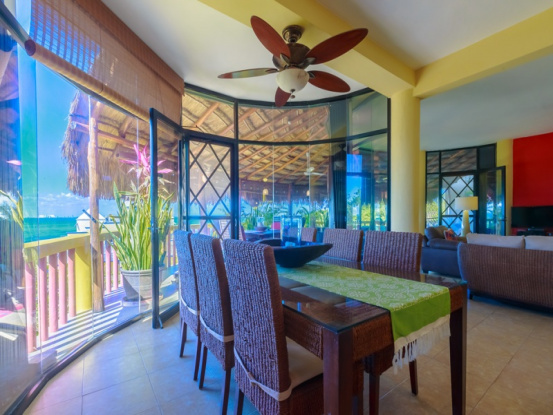 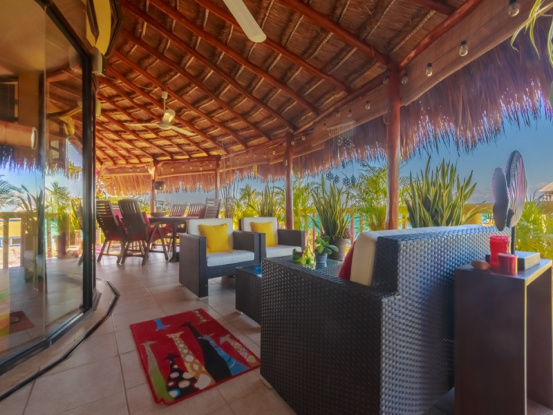 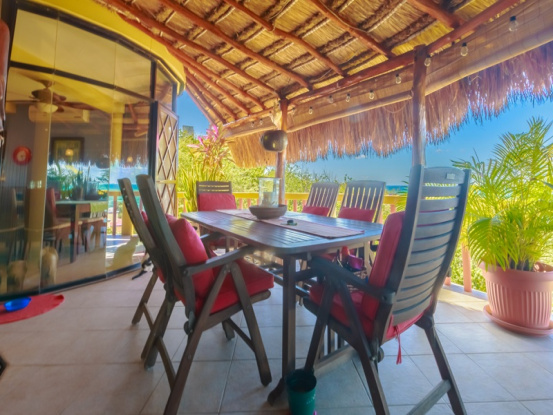 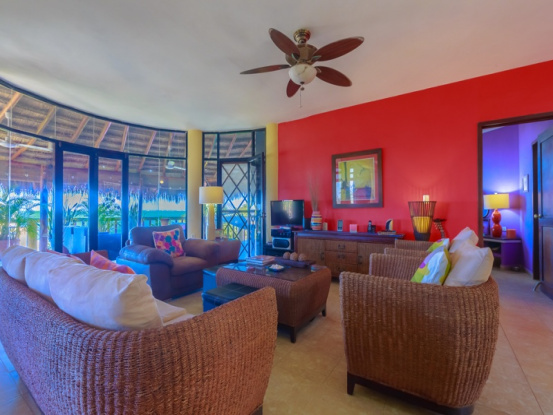 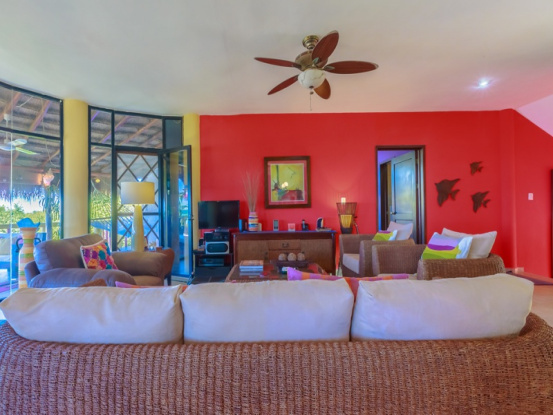 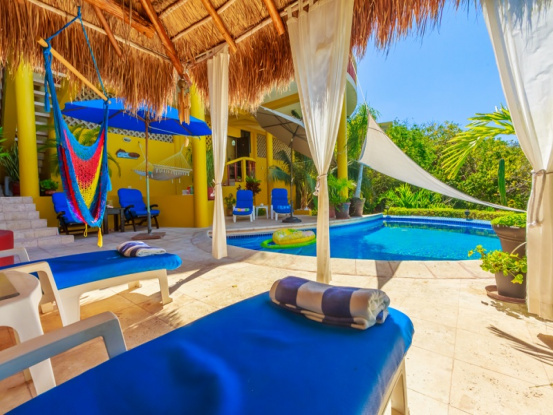 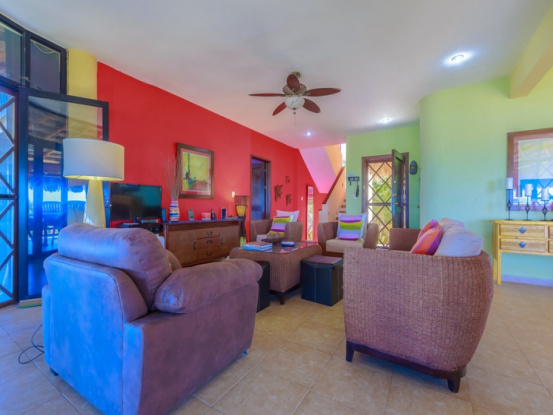 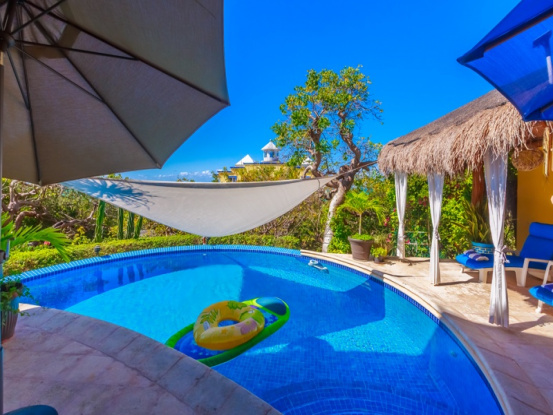 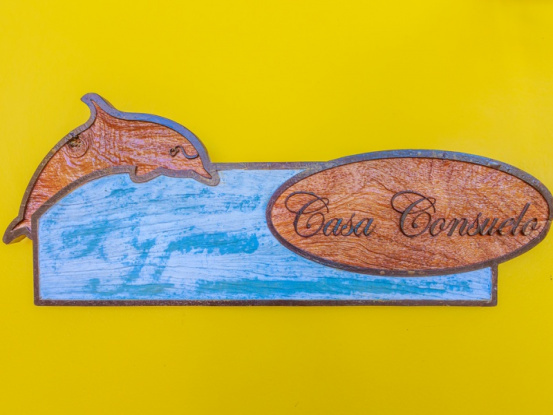 The open living, dining, and kitchen areas all have expansive views along with a wrap around patio with palapa roof. 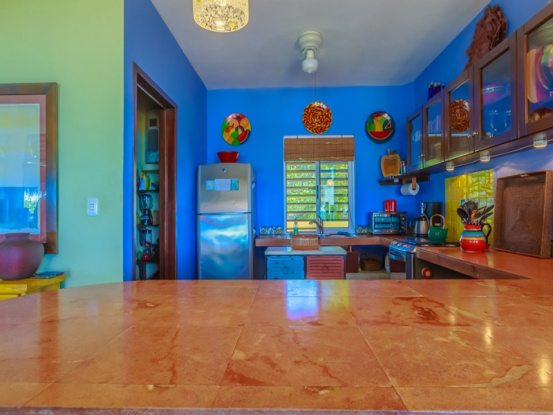 The home sits on a large lot just behind Villa Bonita and two nice restaurants just to the south. 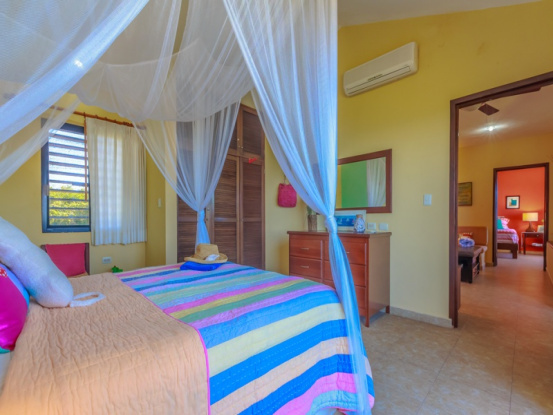 A short walk to the north brings you to 2 beautiful beaches each with a luncheon restaurant. 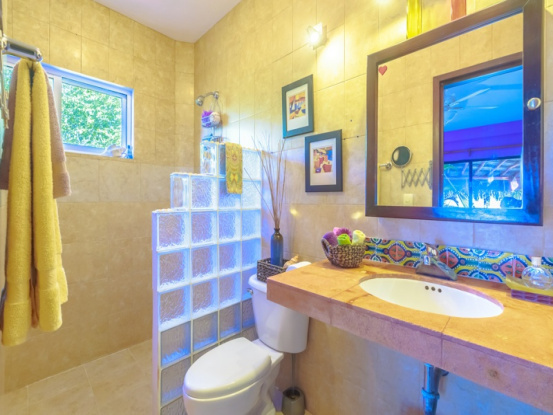 The private pool has access to one of the bathrooms on the same level. 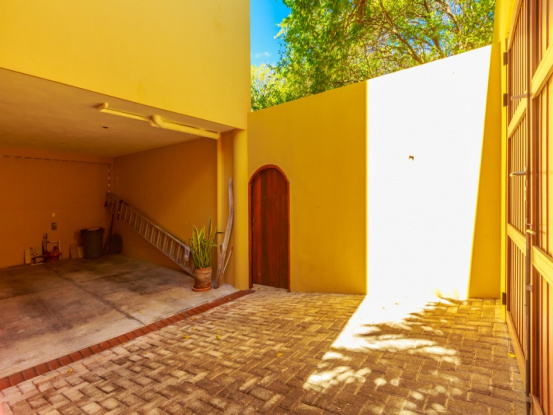 This home has not been on the rental market but has great potential. 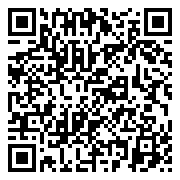 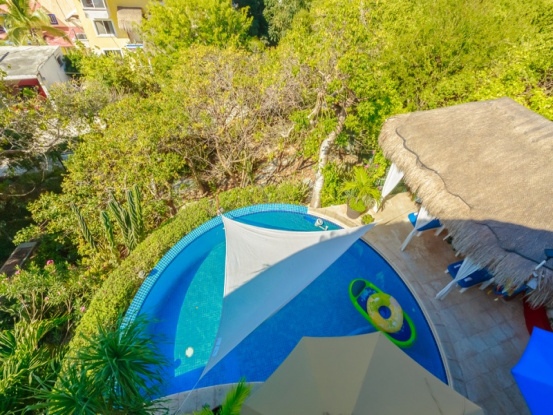 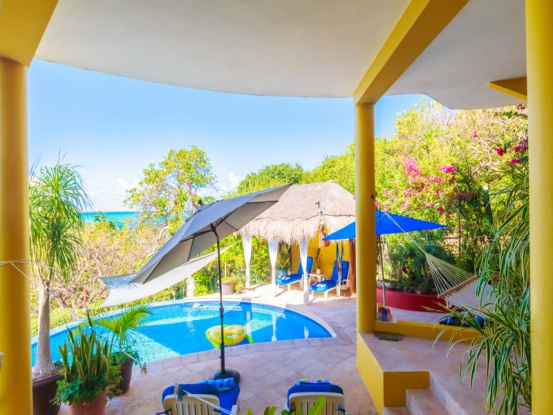 It is perfect for your family vacation home and would be a wonderful income producing property.